The 2018 SJJAF Congress was hosted on February 22nd 2018 in the beautiful La Palmeraie hotel. 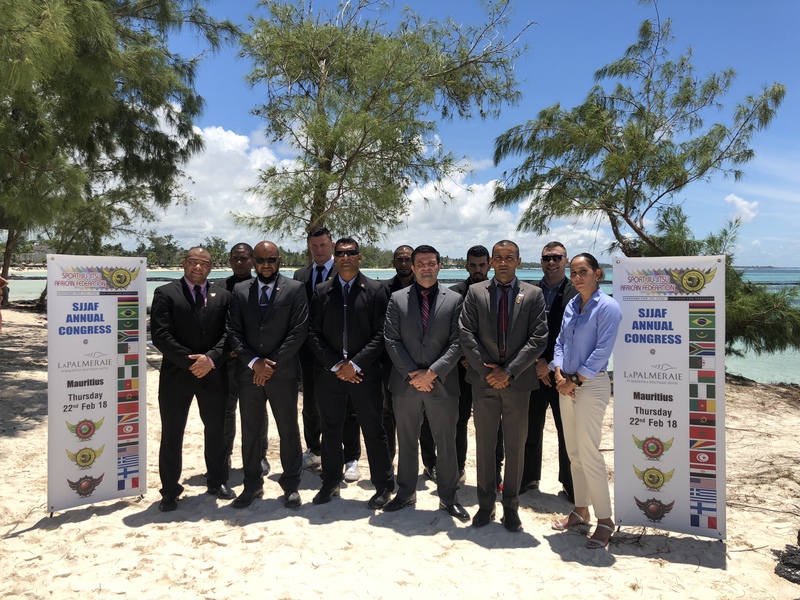 In attendance were many of the national federations under the African Federation, in addition to the president of the SJJIF, Mr. João Silva who traveled overseas to support the development of BJJ in the African continent, as well as in Mauritius Island. The conference began with an introduction by the SJJAF General Secretary, Mr. Jaunbocus Tawfiq and was followed by many of the national federation representatives who presented their respective national work and projects for BJJ. A key point of success is that today the African federation is represented in 14 African countries; all following and working with the SJJIF rules and regulations of competition. There were many other noteworthy accomplishments across the continent of Africa. Between 2017 and 2018 the African federation hosted over 50 events consisting of tournaments, BJJ training camps, BJJ in the beach, BJJ women and youth self defense, and community events that took BJJ to places with limited access to the sport. 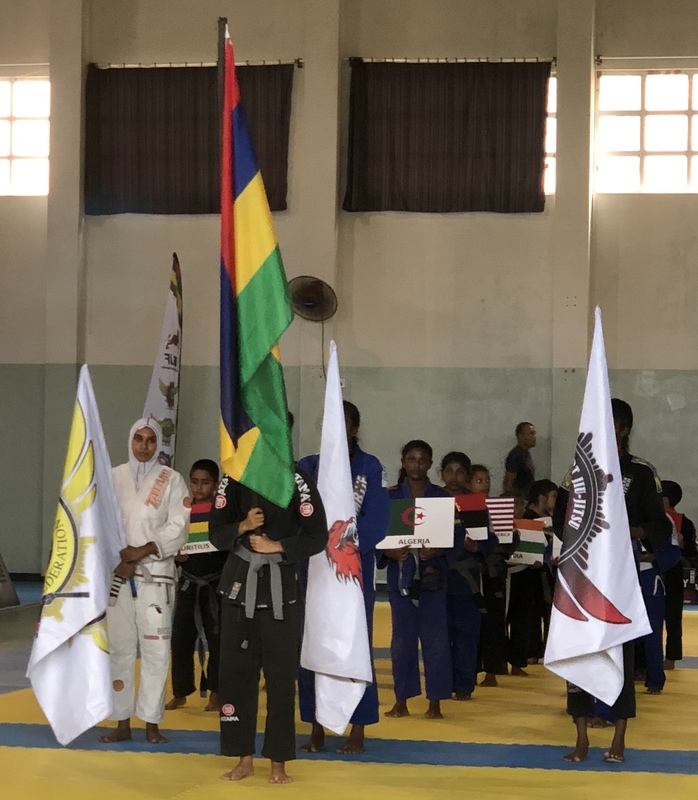 The African federations are also promoting the BJJ for All mission; promoting the Deaf Jiu-Jitsu, Para Jiu-Jitsu and Special Jiu-Jitsu BJJ programs in their communities and schools. National members also talked and celebrated the unity of the African BJJ community, noting that since the inception of the SJJIF mission in Africa many nations and teams have come together to learn more about the organization and to promote fair play and peace between the African countries. National federations noted the special role the SJJIF has played in supporting this union, in addition to providing validity for national federations with their governments and athletes. National federations discussed the difficulties in acquiring visas to participate at the SJJIF World event, and the importance on having strong continental events as a first step of international recognition for many athletes. All federation members saluted and thanked the president of the SJJIF for the great job of the SJJIF, as well as for attending the 2018 African events as it further validates the importance of these events. SJJIF President João Silva also presented on the SJJIF, highlighting the current work, alliances, and projects of the international federation. He explained the importance of all BJJ practitioners working together for the continued development of BJJ. The president also talked about the importance of networking to bring more national federations, event organizers, and BJJ practitioners to work together with the SJJIF. On Sat urday, February 24th the 2018 Open Africa Brazilian Jiu-Jitsu Championship was held with over 400 competitors representing more than15 countries. The event was a huge success, opening with many competitors holding their national flags as they entered the competition area. This beautiful display of patriotic pride was followed by the Mauritius and Brazilian national anthems, and then followed by the coming together of all athletes as they held hands and sang a song of peace and friendship to represent the union of cultures and the peace within the sport. Many surprises unfolded as traditional dancers entered the arena with a cultural dance presentation. It was a breathtaking moment that truly reflected the power of BJJ to bring together people. 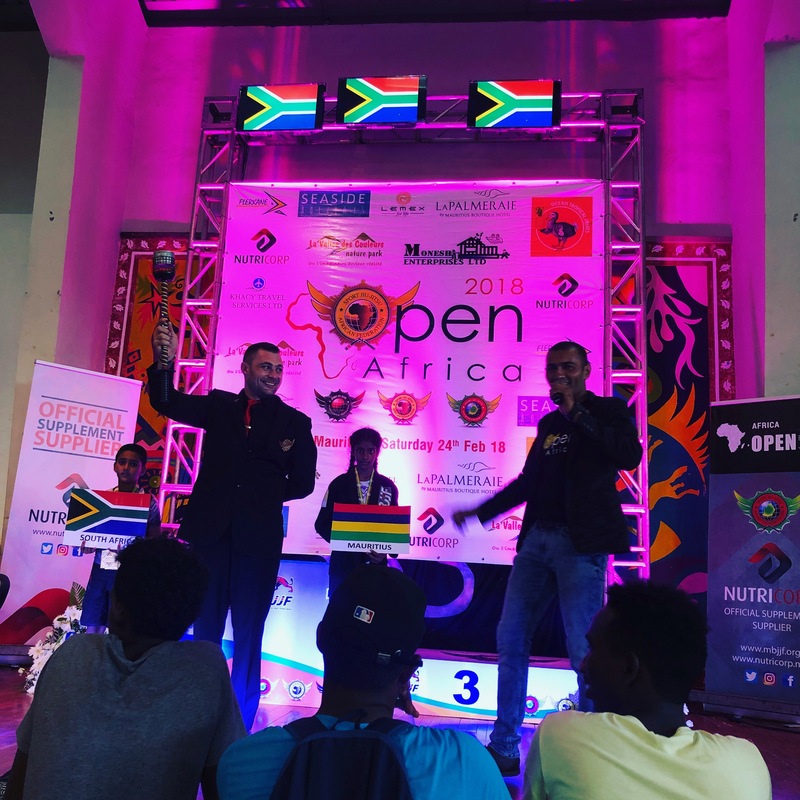 The event looked great, and it was strikingly evident that the competitors were filled with pride in representing their country as they fought for the title of the 2018 Africa Open Champion. Each top th ree athlete received their medal on the podium, with their national flag displayed on the screen above, and the 1st place champion national anthem playing. According to SJJAF General Secretary, Mr. Jaunbocus Tawfiq, the event was made possible by the people who volunteered their time to help with set-up and running the event. This support made it possible for the federat ion to provide free food and water for all athletes, coaches, staff, and spectators as a way to give back to all that supported the event. The event culminated with the African torch being handed over to South Africa representative James Saks as the South Africa federation was elected to host the 2019 Open Africa championship next year. On February 26th SJJIF President Mr. João Silva and SJJAF General Secretary Mr. Jaunbocus Tawfiq met with the chairperson of the Mauritius Sports Council, Mrs. Sarah Rawat Currimjee in the presence of Managing Secretary Mr. Zameer Janoo to discuss the introduction of the SJJIF BJJ for All program including the SJJIF Deaf Jiu-Jitsu, Para Jiu-Jitsu, and Special Jiu-Jitsu programs. 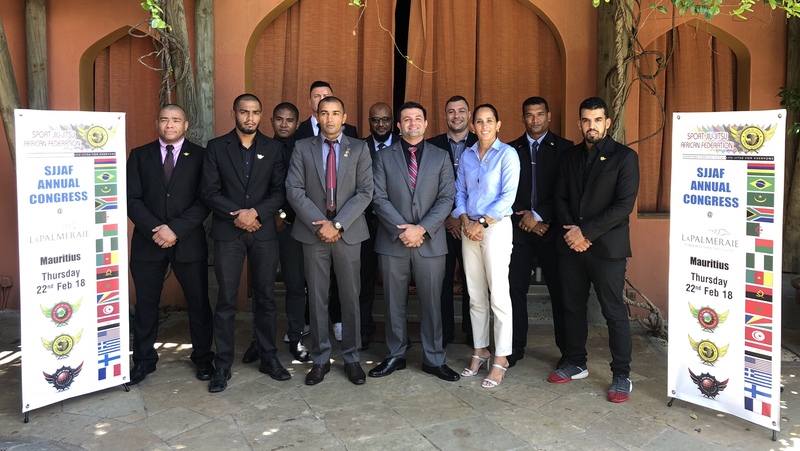 The BJJ for All program and its mission was greatly appreciated by the council and the meeting concluded with the agreement that the program would be implemented in various schools in Mauritius. SJJAF President Mr. Jildson Simoes shared that he is thankful for the great work by SJJAF and MBJJF members in organizing and hosting such a successful event and encourages all other continental presidents to follow this model of organization so all people can see that we are all working for the same objectives. SJJAF General Secretary Mr. Jaunbocus Tawfiq shared, “Under the guidance of SJJAF President Mr. Jildson Simoes, together with all members, we are creating history in Africa. We are working hard to make the SJJIF proud of the African continent, driving the mission to take BJJ to the Olympics and setting an example for others to follow!”. SJJIF President Mr. João Silva’s concluding remarks, “I believe that the African federation, together with the Mauritius federation, did a fabulous job in implementing the SJJIF mission at the 2018 Open Africa, as well as in the African Congress. 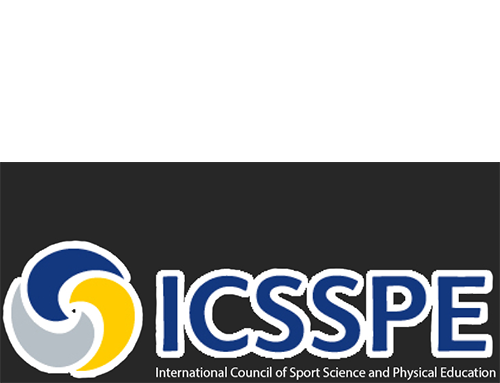 They hosted a beautiful event that highlighted many of the attributes valued by the international sport community, with a great display of union, solidarity, and fair play amongst all athletes. 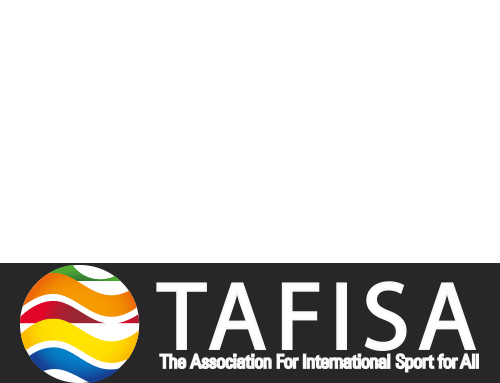 To think that it has only been a little over two years since the development of the African federation and yet, they already have 14 African countries working together for the betterment of the sport, promoting peace and BJJ for all is just amazing. I believe that this event greatly helped us show to the BJJ world how the unity within the BJJ community can accomplish great things”.